I hope that during this Jubilee of Mercy, all may experience the joy of belonging to the Church and rediscover that the Christian vocation is born from within the People of God, and is a gift of divine mercy. The Church is the soil where vocations take root, mature, and bear fruit. Give thanks for the Church's role in each person’s vocational journey. St Bede, described the call of Matthew: “Miserando atque eligendo” (Misericordiae Vultus, 8); the Lord’s 'mercy-ing' forgives our sins and opens us to the call to discipleship and mission. Each vocation has its origin in Jesus' compassionate gaze. Conversion and vocation remain interconnected throughout the missionary disciple’s life. One step in the evangelization process is belonging to the Christian community; it brings the richness of ecclesial life, particularly the sacraments. The Church is not only a place where we believe but also an object of our faith ("I believe in the Church"). God's call is mediated through the community. God calls us to become a part of the Church, and then bestows on us a specific vocation to be undertaken with those the Lord has given to us; it's a 'con-vocation.' The call's ecclesial dynamism is an antidote to indifference and individualism. Love vanquishes indifference by demanding we go beyond ourselves to serve God’s plan. Assume your responsibility for the care and discernment of vocations. Peter brought 120 together to choose seven deacons; Paul gave Titus criteria for the selection of presbyters. Today, the community is always present in the discernment, formation, and perseverance of vocations. Vocations are born within the Church: No one is called exclusively for a particular region, group, or movement but rather for the Church and the world. People responding to God’s call see their horizon expand; they become able to consider various charisms and discern more objectively. Vocations grow within the Church: Candidates need to grow in knowledge of the community, overcoming limited perspectives. For that, it helps to work together with others in the community. The community remains the fundamental formational environment. Vocations are sustained by the Church. Our vocational journey continues in our willingness to serve, our perseverance, and ongoing formation. Paul and Barnabas's mission is a good example of readiness to serve. Missionaries are accompanied and sustained by the Christian community, which remains a vital point of reference, a visible homeland. Priests fulfill Jesus' words, “I am the gate of the sheepfold.... I am the good shepherd.” The pastoral care of vocations is fundamental to their ministry; they accompany those discerning a vocation as well as those who already dedicated their lives to the service of God and the community. All the faithful are called to appreciate the ecclesial dynamism of vocations, so that communities of faith can become like a mother’s womb that welcomes the Holy Spirit as Mary did. The motherhood of the Church finds expression in prayer for vocations and in educating and accompanying all who perceive God’s call; it's also expressed through a careful selection of candidates. The Church is mother of vocations in her support of those who dedicate their lives to service. Lord, grant to all on a vocational journey a deep sense of belonging to the Church. Holy Spirit, strengthen among Pastors and all the faithful a deeper sense of communion, discernment, and spiritual fatherhood and motherhood. Father of mercy, grant us communities that are alive, fervent, and joyous, and nurture people's desire to consecrate themselves to you. Sustain communities in their commitment to offer catechesis and ways of proceeding towards each one’s particular consecration. Grant the wisdom needed for discernment, so that your merciful love may always shine forth. May Mary intercede for each community, so that, made fruitful by the Spirit, it may be a source of true vocations for the service of the People of God. Acts 13:14, 43-52 Many Jews followed Paul and Barnabas, who urged them to remain faithful to God's grace. When the Jews saw the whole city gather to hear the Lord's word, they became jealous and contradicted what Paul said. Paul and Barnabas said boldly, “God's word had to be spoken to you first, but since you reject it, we now turn to the Gentiles as the Lord commanded: I have made you a light to the Gentiles, that you may be an instrument of salvation to the ends of the earth.” The Gentiles were delighted. The word of the Lord continued to spread, but the Jews stirred up a persecution against Paul and Barnabas and expelled them. They shook the dust from their feet and went to Iconium, filled with joy and the Spirit. Ps 100:1-3, 5 "We are his people, the sheep of his flock." Sing to the Lord; serve with gladness. We belong to the Lord God; we're his flock. The Lord is good, kind, and faithful. Creighton: It's hard today to understand the connection between shepherd and sheep, and so we might miss the power of today's gospel. Shepherds know their sheep. Isolated with them, they'd talk to, sing to, and sleep among them. 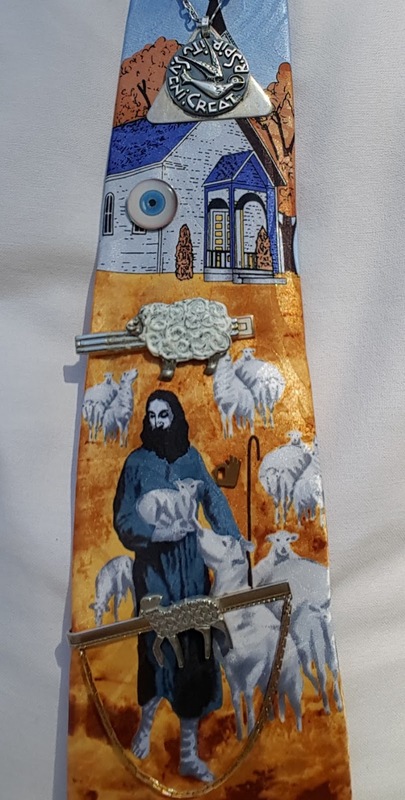 After they mixed with other shepherds and their flocks, they called to their sheep, and they untangled themselves and followed their own shepherd. In contrast, stubbornness like mine led Israel to forget who they were and why God chose them. Many put themselves forward as 'shepherds' of our lives, but only the Risen One is the true Shepherd, who gives abundant life. False shepherds, ingrained in our culture, make promises of love, happiness, safety, and security, if only I follow their path. If we learn to distinguish Jesus’ unique voice, he guides us on the path of life, the path our heart longs to follow. When I realize I've wandered off the path, I can follow his voice to safety and security. One Bread, One Body: "I don't know much, but...": Disciples shake off the dust of rejection, persecution, failure, prejudice, mistreatment, anger, and bitterness, walk away, and move on, traveling lightly, without spiritual baggage, not looking back, refusing to resurrect old wounds, keeping our eyes on Jesus, filled with joy and the Spirit. Passionist: How am I called to be an instrument of salvation today? When Paul and Barnabas preached to the Gentiles, they note that God called them to be an instrument of salvation to the ends of the earth. We, like them, are called to proclaim the gospel. We preach through our words and actions. We share the vocation of bringing Christ to others, offering encouragement and support to the struggling, of listening, being patient with difficult people, and looking for the good in everyone. When we do, the Lord's word spreads through us is it did through them in the early church. We too may face opposition, misunderstanding, and failure, but we live in joy and hope because we believe Jesus: “I give them eternal life.... No one can take them out of my hand.” When we take those words to heart, we'll be instruments of salvation. DailyScripture.net: "My sheep hear my voice": Jesus speaks of his trust in his Father and the trust we ought to have in our Good Shepherd. A shepherd could care for thousands of sheep; he kept constant watch over them. They lived with their sheep so they could lead them to good pasture during the day and bring them to a safe place at night. They got to know their sheep well and called them by name. 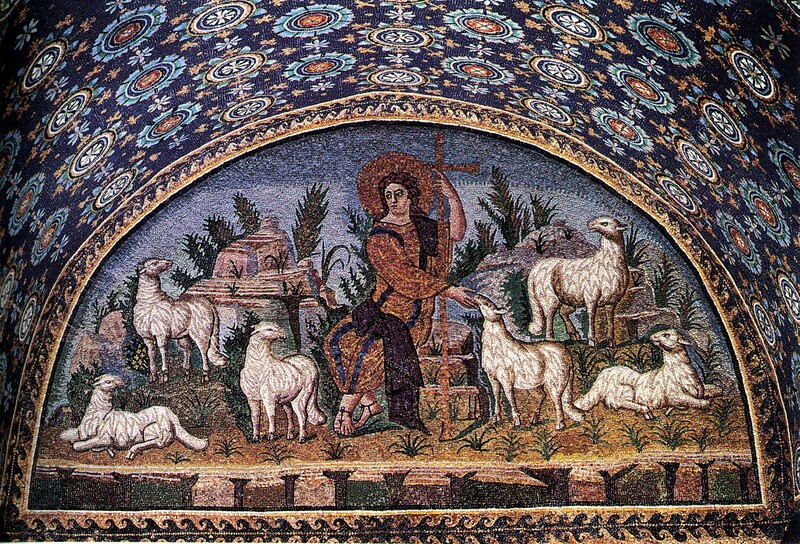 God used the shepherd image to describe his care for his people. God called shepherd David to be the king and shepherd for Israel. Jesus, God's Messiah and King, born from the tribe of David, called himself the Good Shepherd of the people his Father entrusted to him. 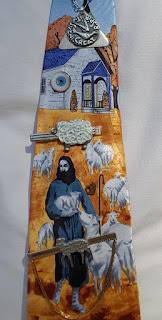 Peter tells us the Lord is the Shepherd and Guardian of our souls; he keeps a close, personal watch over every one of his followers, calls us by name, and he promises to protect us from our enemy. The Lord leads us to good pastures where we can feed on his word and drink his living water, the Spirit. If we feed on his word and drink the Spirit, we'll find nourishment and strength to live each day for his glory.